Where simplicity and Elegance converge. 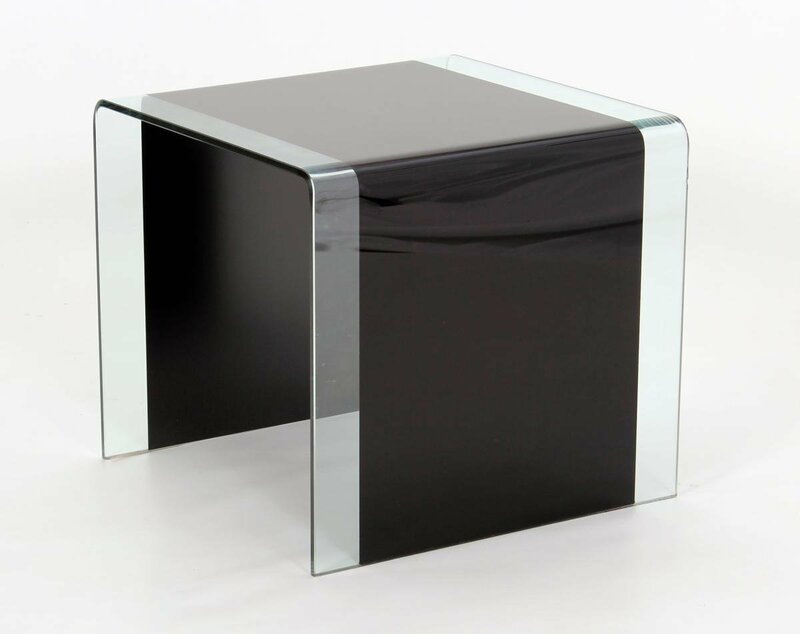 This Lamp Table with tempered Black Glass and clear Glass rim is a simplistic design, yet chic and beautiful. The table is one long line of bent glass, giving it a flowing design with no edges or corners. With a top wide enough for a lamp, plant pot or photographs and yet small enough to fit in most Living Rooms, this Lamp Table is functional, unique and beautiful.